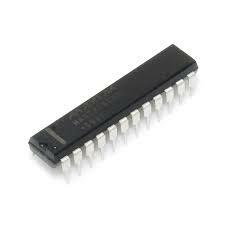 This 8 Digit Seven Segment Display Module takes advantage of the MAX7219 LED Display Driver IC to allow you to driver its 8 seven segment LED’s using just 3 digital pins. The display removes all the awkward things associated with driving seven segment displays such as multiplexing, refresh rates, current limiting etc. 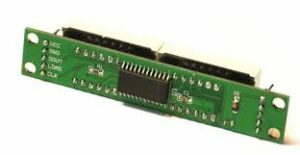 Not only that, headers situated at both ends of the module allow you to daisy-chain multiple modules together to make even longer displays. 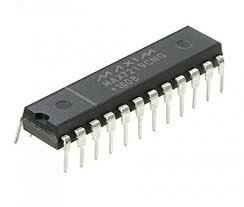 -Operating Supply Current (RSET = open circuit): 8mA max. -Display Scan Rate (8 digits scanned): 800Hz typ. 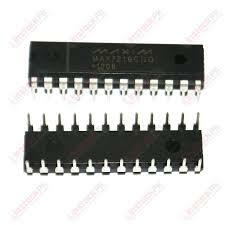 -Digit Drive Sink Current (V+ = 5V, VOUT = 0.65V): 320mA min. -Digit Drive Source Current (Digit off, VDIGIT = (V+ – 0.3V): -2mA min. -Segment Drive Sink Current (Segment off, VSEG = 0.3V): 5mA min. 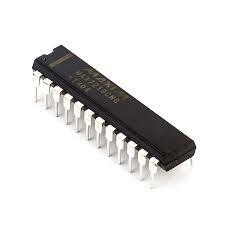 You can buy more product cheaper price from our shop 75176 Transceiver, Digital potentiometer 10k, DS1307 RTC, etc..